o Make sure your pet dog is healthy enough to accompany you on the hiking trip. Take your pet dog to your veterinarian and get your dog checked. Never take an unhealthy dog on such a trip. You will face numerous problems if your dog falls seriously ill.
o Make sure your pet dog is acclimatized for the hike. We take lots of precautions to protect our feet and other body parts from excessive strain during the hike. You cannot get shoes for your pet dog. The next best thing is to make sure the dog is used to the strain. o The best way to condition your dog is to take it for long walks on a daily basis. Start out with a short distance and keep on increasing the distance until you are sure that the pet is ready for the hike. o You can also resort to activities like jogging, tennis-ball fetch, and swimming to get your dog into good shape. o After conditioning the heart of your pet, take care to toughen up the toes. The pads of your dog’s foot should be capable of bearing the strain. A dog with a bleeding foot pad can become a very heavy burden on the hike. o Prepare your dog’s ID tag and license and make sure the rabies inoculation is up to date. Get your vet to insert a microchip to ensure your pet dog can be found very easily. o Never forget the fact that trail restrictions are for your safety. Ignore them at your own peril. If the trail requires the dog to be put on leash, obey the rule. 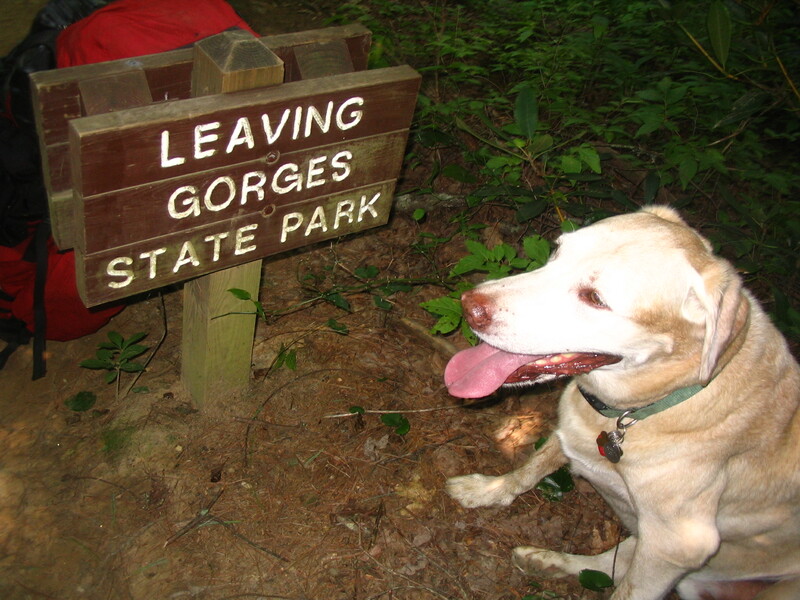 Further, make sure you clean up the mess caused by your dog on the trail.